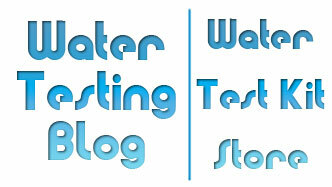 Testing for Metals in Drinking Water — Important! 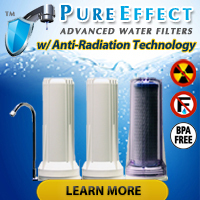 Sounds like it would make sense that treated, filtered water dispensed (sold) by a municipality or privatized water company would not contain potentially harmful levels of dissolved metals… but in reality they only have to make certain water they produce does not contain dissolved metals at the point where it leaves their facilities. Between those facilities and the faucets of households on water systems lie vast networks of metal piping that can very easily leach small amounts of metals into the water supply… or worse, yet, leach potentially harmful amounts of lead, copper, iron, etc. into the water supply. Oh, and if you live in a building or home built before the advent of builders using plastic (i.e. PVC) piping, well, that means you have metal plumbing in your home which could, in many cases, result in your water containing elevated levels of metals — especially if you also if you have problems with corrosive water and/or have water sitting in your lines for long periods of time (i.e. in the plumbing of vacation homes or lines connected to faucets/showers/etc. that do not get used on a regular basis). Reducing and removing metals from drinking water? Not all water filters will remove or reduce dissolved metals in water as efficiently and some water filters, despite the claims on their packaging, don’t really do a good job of removing metals at all. As a general rule, one should NOT rely on faucet filters, shower filters, or other small point-of-use devices to keep them safe from water metals. For the average homeowner we suggest looking at reverse osmosis water filters since they offer excellent filtration on their own for unwanted drinking water contaminants like metal ions & aqueous salts including sodium, chloride, copper, chromium, and lead. Additionally, reverse osmosis units typically also reduce arsenic, fluoride, radium, sulfate, calcium, magnesium, potassium, nitrate, and phosphorous levels in drinking water. « Can I Use My Water Softener as an Iron Filter?